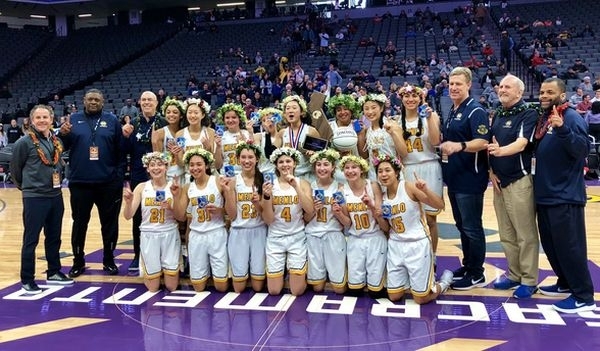 Menlo School won its first girls state basketball title since 1991. Coach John Paye helped the Menlo boys win a Division II title in the 80s. Photo by Pam McKenney/Menlo Athletics.